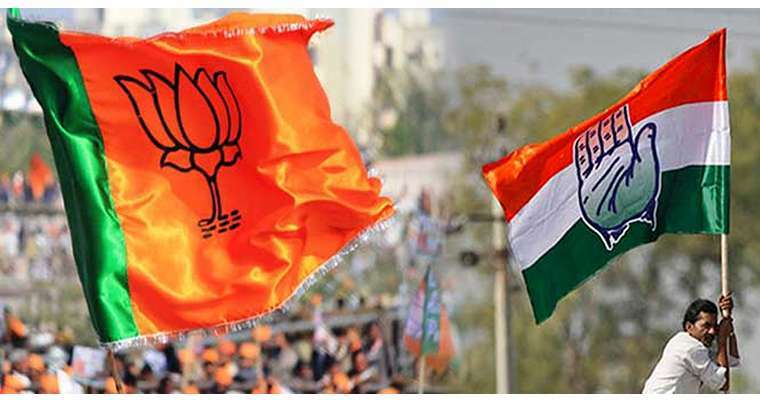 The 2019 Lok Sabha Elections begin today. Learn everything in this easy-to-understand guide! Opened Google today and saw the finger? Oh, don’t get us wrong, we love how Google took a step higher to encourage Netizens to go out and vote! The doodle features right hand marked with the electoral ink on the index finger. 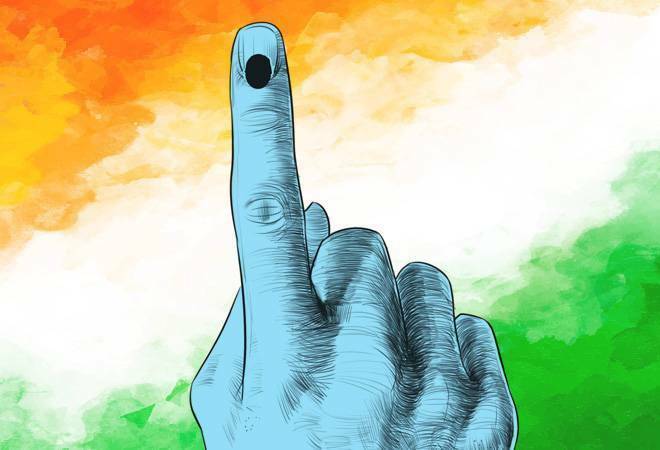 India gears up for the 17th Lok Sabha election, Google has taken a step forward in encouraging the responsible citizen of the country with a simple doodle. Prime Minister Narendra Modi, took to Twitter this morning and urged the younger crowd and first-time voters use their right to vote. Take a look here. This morning, will campaign for NDA at a rally in Bhagalpur, Bihar. Later in the day, will be in Assam where I will join public meetings in Mangaldai and Silchar. The mood across the nation is firmly in favour of the NDA. The 2019 general elections begin today and will go on till May 19. Around 8,40,00,000 first-time voters are eligible to cast their vote as national elections begin in the world’s largest democracy today. 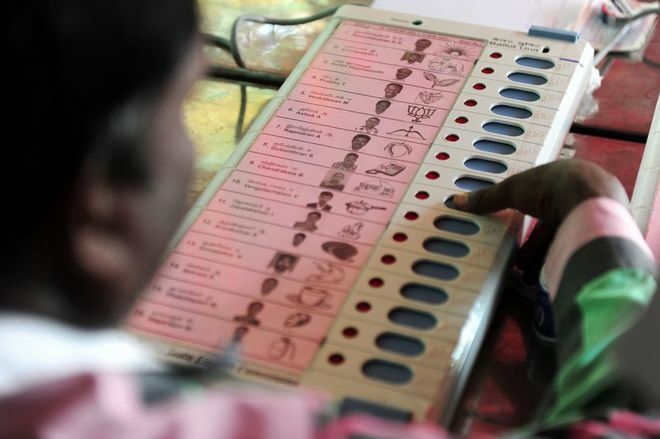 In the first phase, 18 states and two union territories are voting and simultaneous assembly polls are being held in four states- Arunachal Pradesh, Sikkim, Andhra Pradesh and Odisha. The polls will be held in seven phases that will cover all the 543 constituencies. The Election Commission will count the votes on May 23, and announce the result the very same day. Everything you need to know about How to Vote! Please note that you can vote only if your name appears in the Voter List or the Electoral Roll. Voters can also find information on Polling Booths, Contesting candidates, Election Dates & Timings, Identity cards and EVM. This simple 6 step process will take you through how you can easily cast your vote. For more information, please see the Voter Guide here. How to find a Polling booth near you? Which Identity Cards will you need? How to use the voting machine? EVM stands for Electronic Voting Machine and VVPAT stands for Voter Verifiable Paper Audit Trail (VVPAT). You can watch this simple video to understand the working of VVPAT. Election results will be announced on 23rd May. Please note Andhra Pradesh, Arunachal Pradesh, Orissa and Sikkim Vidhan Sabha elections will be held in parallel to Lok Sabha Elections, you can check eci.gov.in for more information. Indore HD urges all of you to exercise your right to vote and make an informed choice when you go out to vote.